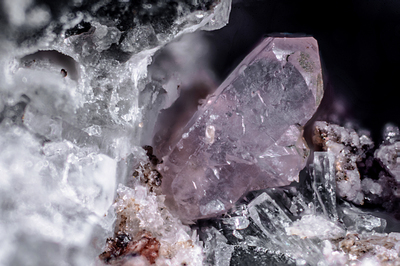 Prismatic crystal, rhombic, of ancylite-(Ce), of pink color. Received by Adriana and Renaro Pagano. Collection and photos by Gianfranco Ciccolini. Nikon D750, bellows, Luminar 16 mm.